2018-10-11 - Greater Bliss, KY - Photo by Miss Victoria Browning Pike. 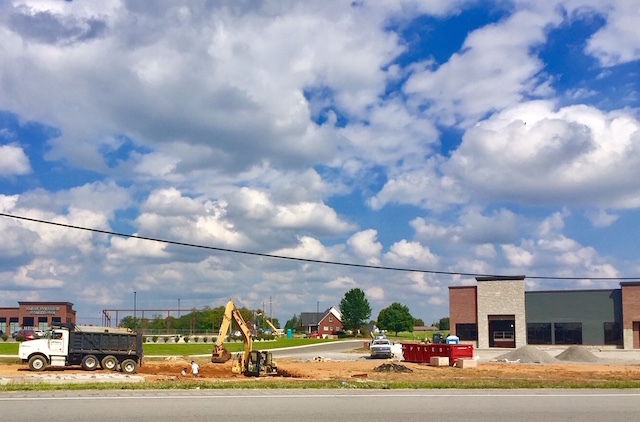 Work on the new Magic Mart continues in the Pinewood Shopping Center. It would appear they are digging to install the fuel tanks, although Miss Vicky worries that they might uncover more.